MISSISSAUGA, ONT. — Protecting workers' rights is a fundamental Canadian objective in ongoing negotiations to update the North American Free Trade Agreement, says Canadian Labour Minister Patty Hajdu. Saying organized labour is squarely behind the federal government's push for the incorporation of "progressive" rules in NAFTA, Hajdu said it's critical the three countries reach a common understanding about the rights of labour and its importance to a healthy economy. "The rights of Canadian workers is far from 'virtue signalling'," Hajdu said in an interview with The Canadian Press. "It's about ensuring that we don't have a race to the bottom where companies can move their labour to other countries that don't have those protections for workers." Hajdu met Friday with key union representatives, just days after a number of pro-trade Republicans met with U.S. President Donald Trump to urge him not to cancel NAFTA as he has threatened. The latest round of talks wrapped in Mexico City in November, with negotiators saying they made little progress on key issues. Canada's labour movement has long expressed concerns about lower wages in Mexico and what they see as substandard worker protections in "right-to-work" American states. Canada has ratified all eight core conventions of the International Labour Organization and its proposals on NAFTA include a demand the other two countries follow suit. While Mexico has gone some distance toward ratification, the United States has largely resisted such a move. Hajdu called the right to organize and bargain collectively a fundamental right of workers, saying a strong labour movement is inextricably linked to a thriving middle class. Canada, she said, plans to stand firm in its demands to improve on the decades-old trade deal. "We expect this [deal] to be better than what we had in the previous NAFTA arrangement," Hajdu said. "We're not going to back down and accept a deal that doesn't protect the rights of Canada — and part of that is protecting our labour movement, part of that is protecting our workers." Among those on hand for the discussions were representatives of the country's largest private- and public-sector unions, Unifor and the Canadian Union of Public Employees, and the umbrella Canadian Labour Congress. The groups were pleased Hajdu had taken the time, said Steven Martin, business manager with International Brotherhood of Electrical Workers Local 353 that hosted the event. Martin called it "huge for labour" that the minister was undertaking the consultations. "It was very reassuring to see that the government is asking labour about labour issues and what our thoughts are," Martin said. "It's not just the wages. It also has to do with the differences in working standards, and a race the bottom is not the way that we need to go." Talks at renegotiating NAFTA resume in Washington next week after several rocky rounds in which Canada's labour demands — including gender-equality language — have been among obstacles yet to be overcome. Labour leaders also raised concerns at Friday's meeting about U.S. President Donald Trump's demands around the "rules of origin" under which products crossing the border qualify for duty exemptions. Trump wants an increase in content produced in North America in order to qualify and a minimum level of American content. 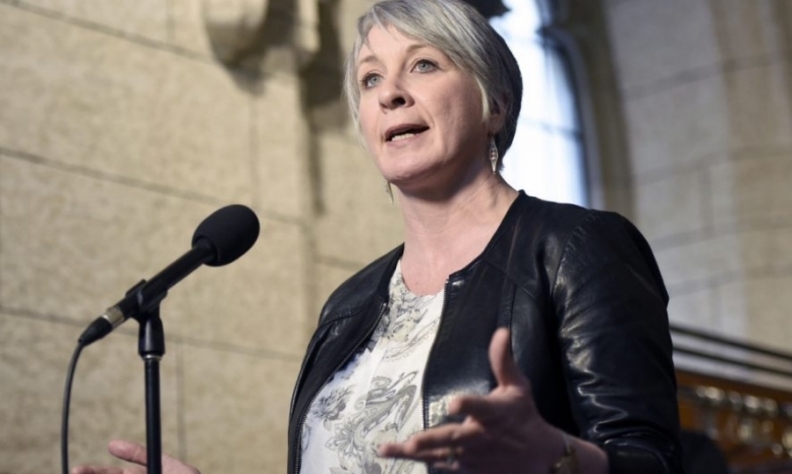 Organized labour understands Canada's approach, said Hajdu, who expressed satisfaction at having direct channels for union input during the trade talks. "They want us to continue fighting for the inclusion of this labour chapter." The next round of NAFTA negotiations is expected to begin in Montreal in January.